This fall, don’t leave your windows out on the fun of the season! 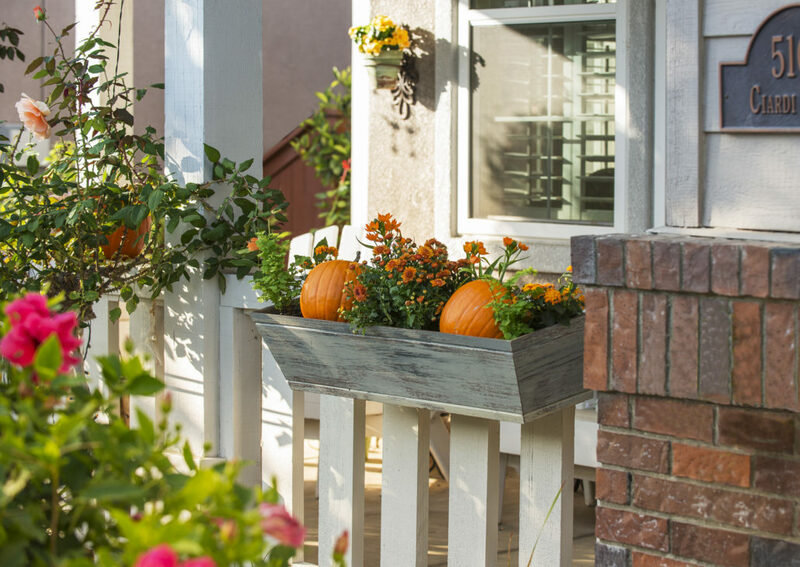 These window box decorating ideas incorporate everything you love about the season, from breathtaking arrangements of fall flowers to autumn-inspired décor like colorful pumpkins and other gorgeous gourds! Get ready to let everyone on your block know you’re pumped for pumpkin spice latte season! 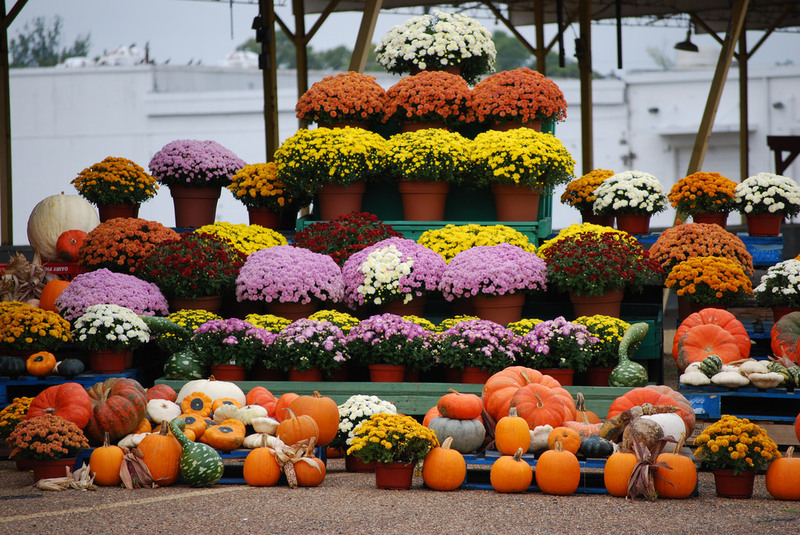 First things first: you must choose the right window box design for your fall display. You’ll want a window box that is durable, and one that won’t rot or become damaged by water, rust, or mildew. 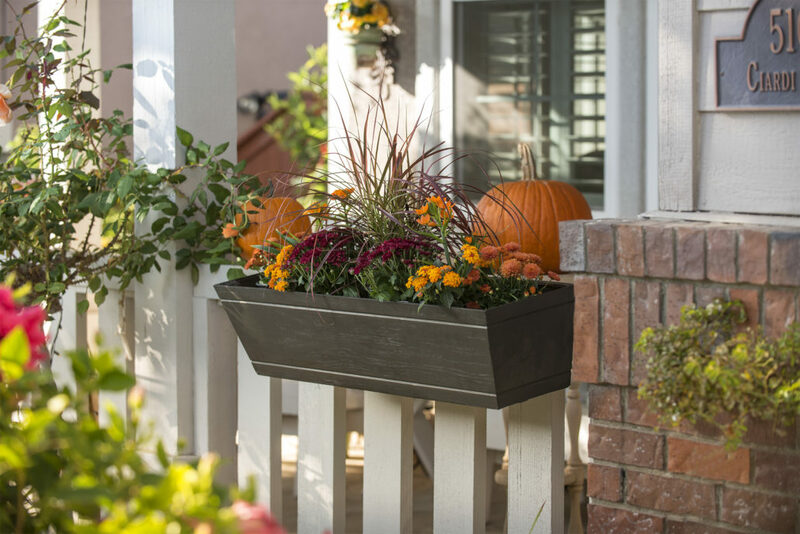 Our long-lasting fiberglass window boxes are available in an array of autumn-colored designs, from bronze to the Modern Farmhouse window box made to look like distressed, reclaimed wood. Low-maintenance gardening trick: If you want to decorate with the beauty of fall without the hassle of caring for live plants, why not go faux? Our realistic-looking artificial plants are outdoor-rated so they will withstand any climate and still look fresh for fall…and beyond! Decor treat: Mix fiery orange and yellow foliage with the cooling tones of blue and purple for a beautifully balanced window box arrangement. In addition to flowers and plants, an assortment of decorative items that say “fall” can be added to your autumn window gardens. The possibilities are endless: just think of what reminds you of fall. Pumpkins and other gourds, autumn leaves, dried grasses, acorns and walnuts, sparkly lights in a warm amber color—all can be added to provide extra ambiance, color, and texture. Drying autumn leaves trick: To preserve the autumn leaves in your window box arrangement, mix one part glycerin with two parts water and submerge the leaves in this concoction. Place something on the leaves to keep them submerged for about 2-6 days, and then gently remove and dry them with a paper towel. Décor treat: Not all pumpkins are orange; did you know that you can get pretty much any color pumpkin under the sun? From white to teal, copper to gold, choose any pumpkin you like as your centerpiece and work around it with items of any color palette—fall or otherwise—making it a less traditional, but still fall-focused window box! Corn husks, raffia, burlap bows, pine cones, feathers, birdhouses, birdcages, mini-scarecrows and other figurines that reflect the season can be added to your window boxes for more texture and color. For more modern autumn décor, select a contemporary window box shape such as the Modern Farmhouse in Reclaimed Dark Hickory, and place a selection of succulents, white and gray mini pumpkins, white berries, and dried hydrangeas to create a subtle yet chic display. 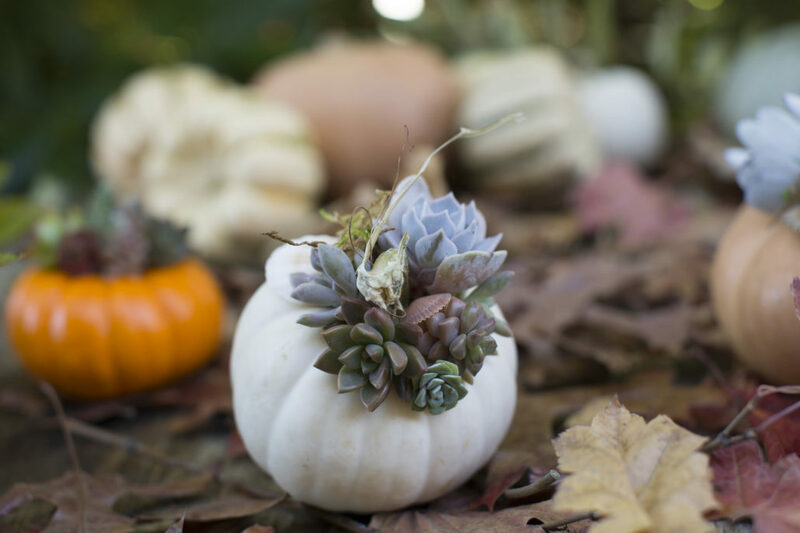 You can also hollow out your pumpkin and use it as a planter for textural succulents. Pumpkin decorating trick #1: Ever head of a “mumpkin?” It’s a mum-decorated pumpkin! 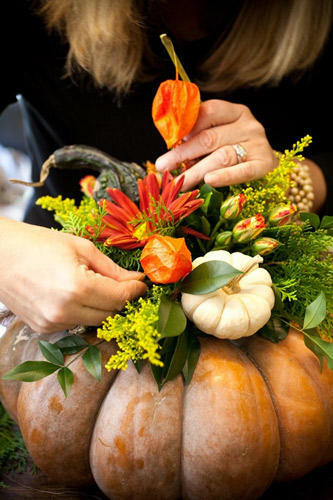 Snip chrysanthemum blooms and glue them straight onto your pumpkin for a lovely window box statement piece. Try out different colors and patterns, and get the kids involved for a fun family project! Pumpkin decorating trick #2: Create a mini pumpkin garden to showcase in your window boxes, hollow out one or more pumpkins and place some dried flowers, grasses, and leaves in it. 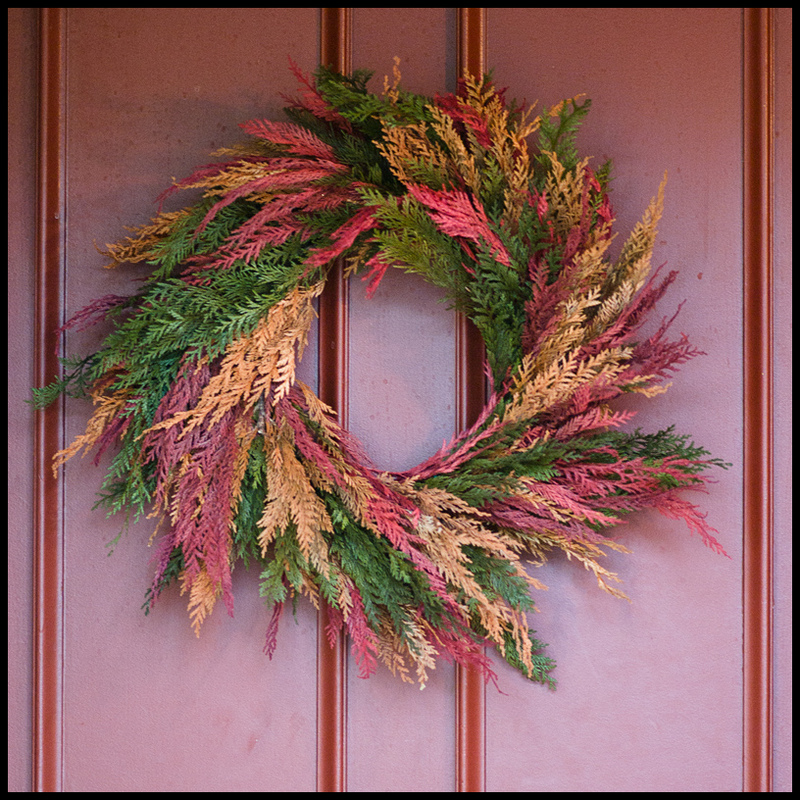 Décor treat: Decorate your home in fall garb by matching your fall window boxes with a nature-inspired fall wreath. Our dried and fresh autumn wreaths display the best of the season, from gorgeous fall leaves to berries and dried twigs. Hang a wreath on your door, your balcony railing, or even on your window above your window box to tie the look together. 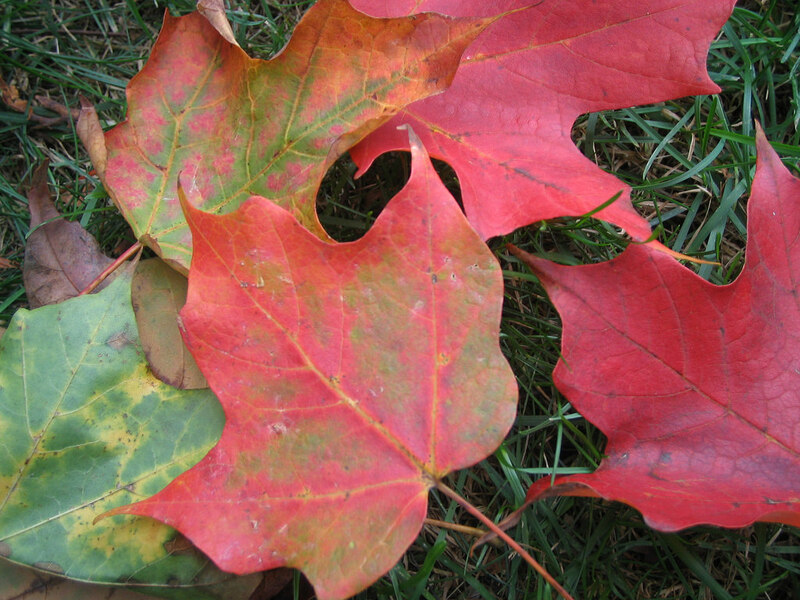 Get Your Fall Started with Us! From weather-ready, autumn-colored window boxes to festive wreaths that can take you from Halloween straight through to New Year’s, we have what you need to get the holiday season kicked off right. Have questions or want to place an order? Call us at 1-800-896-0978 or visit us at www.HooksandLattice.com. Photo credits (top to bottom): Hooks & Lattice (2 photos), Brooke Williams, Debra Prinzing, Rainchurch, Odd Stuff Magazine, and Hooks & Lattice.